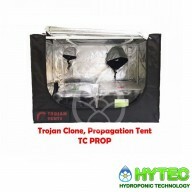 Trojan Tents are a respected brand throughout indoor growing culture because of their high-quality ethos across all ranges. 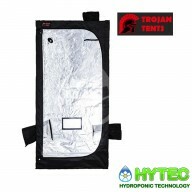 Trojan Tents are available in two versions - Silver and Gold. They are designed to suit all budgets and are packed full of features aimed at the modern gardener. 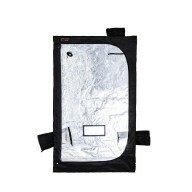 The Silver series is a range of entry-level indoor enclosures and feature the lighter 210D Mylar lined outer material; whereas, the Gold series is slightly more advanced and feature heavy-duty Mylar lined 600D Oxford cloth tent fabric. 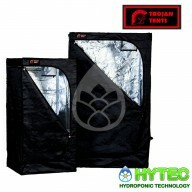 To view our range of Trojan Tents in-depth, click on the sub-categories below. 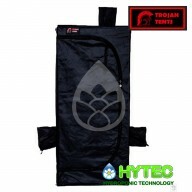 Trojan Silver TS6 Specifications Dimensions - 60cm x 60cm base and standard 1.4m tall Framework - 16mm diameter powder coated metal frame with polypropylene corners Cloth - 210D Mylar lined Oxford cloth. 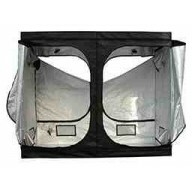 Exhaust ventilation port -..
TROJAN CLONE GROW TENT 0..9M x 0.6M x 0.6M Metal Corners Plenty of Ventilation Ports Cable port Hanging Bars Spill Tray This prop Tent has the added function of being able to Stand on it end, without interfering with Ports, Hanging bars simply move t..
Trojan Silver TS8 Specifications Dimensions - 80cm x 80cm base and standard 1.6m tall Framework - 16mm diameter powder coated metal frame with polypropylene corners Cloth - 210D Mylar lined Oxford cloth. Exhaust ventilation port -..
Trojan Silver TS10 Specifications Dimensions - 1m x 1m base and standard 2m tall Framework - 16mm diameter powder coated metal frame with polypropylene corners Cloth - 210D Mylar lined Oxford cloth. &..
Trojan Silver TS12 Specifications Dimensions - 1.2m x 1.2m base and standard 2m tall Framework - 16mm diameter powder coated metal frame with polypropylene corners Cloth - 210D Mylar lined Oxford cloth. Exhaust ventilation port -&..
Trojan Gold TG10 Specifications Dimensions - 1m2 base and standard 2m tall Framework - 16mm diameter powder coated metal frame, full click system Cloth - 600D Mylar lined Oxford cloth Exhaust ventilation port - 1 x 254mm (acc..
Trojan Goldxs TG12 Specifications Dimensions - 1.2m2 base and 1.8 tall Framework - 19mm diameter powder coated metal frame, full click system Cloth - 600D Mylar lined Oxford cloth. Exhaust ventilation port - 1 x 254mm (..
Trojan Gold TG12 Specifications Dimensions - 1.2m2 base and standard 2m tall Framework - 19mm diameter powder coated metal frame, full click system Cloth - 600D Mylar lined Oxford cloth. Exhaust ventilation port - 1 x 254mm (..
Trojan Silver TS15 Specifications Dimensions - 1.5m x 1.5m base and standard 2m tall Framework - 16mm diameter powder coated metal frame with polypropylene corners Cloth - 210D Mylar lined Oxford cloth. 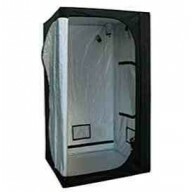 Exhaust ventilation port -&..
Trojan Gold TG15 Specifications Dimensions - 1.5m2 base and standard 2m tall Framework - 19mm diameter powder coated metal frame, full click system Cloth - 600D Mylar lined Oxford cloth. 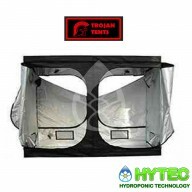 Exhaust ventilation port - 1 x 3..
TROJAN GROW TENT TS 2.4 X 1.2 X 2 MTR The Trojan Silver Series are our range of entry level indoor enclosures they feature the lighter 210D Mylar lined outer material. Trojan Silvers use large polypropylene corners as these are more flexible and are made from less brittle plastic. 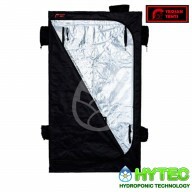 They also featu..
TROJAN GOLD TG2010 GROW TENT 2.0 X 1.0 X 2.0 MTR The Trojan Gold 2010 is a meter square tent measuring in at 200 x 100 x 200cm. The thick cover for the Trojan Gold 2010 is excellent at keeping light from escaping the tent whilst the silver lined interior reflects and makes the most of the availab..
Trojan Gold TG2412xs Specifications Dimensions - 2.4m x 1.2m base and 1.8 tall Framework - 19mm diameter powder coated metal frame, full click system Cloth - 600D Mylar lined Oxford cloth. Exhaust ventilation port - 2 x 355mm..
Trojan Gold TG2412 Specifications Dimensions - 2.4m x 1.2m base and standard 2m tall Framework - 19mm diameter powder coated metal frame, full click system Cloth - 600D Mylar lined Oxford cloth. Exhaust ventilation port - 2 x..
Trojan Gold TG20 Specifications Dimensions - 2m2 base and standard 2m tall Framework - 22mm diameter powder coated metal frame, full click system Cloth - 600D Mylar lined Oxford cloth. Exhaust ventilation port - 2 x 355mm (ac..
Trojan Gold TG3015 Specifications Dimensions - 3.0m x 1.5m base and standard 2m tall Framework - 22mm diameter powder coated metal frame, full click system Cloth - 600D Mylar lined Oxford cloth. Exhaust ventilation port - 2 x.. 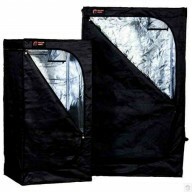 The Trojan Gold series brings you our standard range of indoor growing enclosures. They feature an all metal frame and click metal corners with pole sizes up to 25mm diameter. 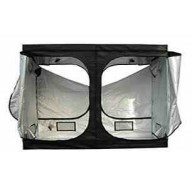 Both the size of the ventilation ports and metal frame diameter are a;; tailored for individual tent sizes meaning that the ..
Trojan Gold TG30 Specifications Dimensions - 3.0m x 3.0m base and standard 2m tall Framework - 25mm diameter powder coated metal frame, full click system Cloth - 600D Mylar lined Oxford cloth. Exhaust ventilation port - 2 x 3..